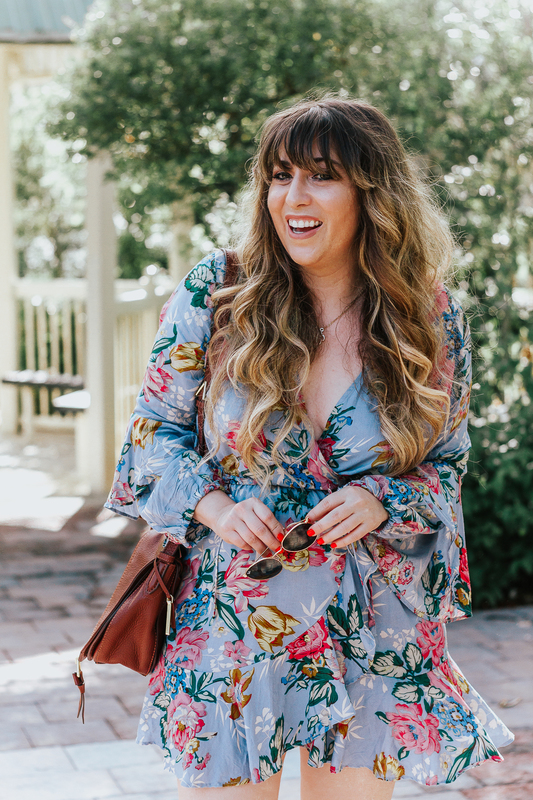 A darling floral dress just makes EVERYTHING better, right? This dress has so many of my favorite things; bows, ruffles, flowers, and pink. The ultimate girly statement, right? I wore this pretty little number for Easter service at Christ Fellowship. 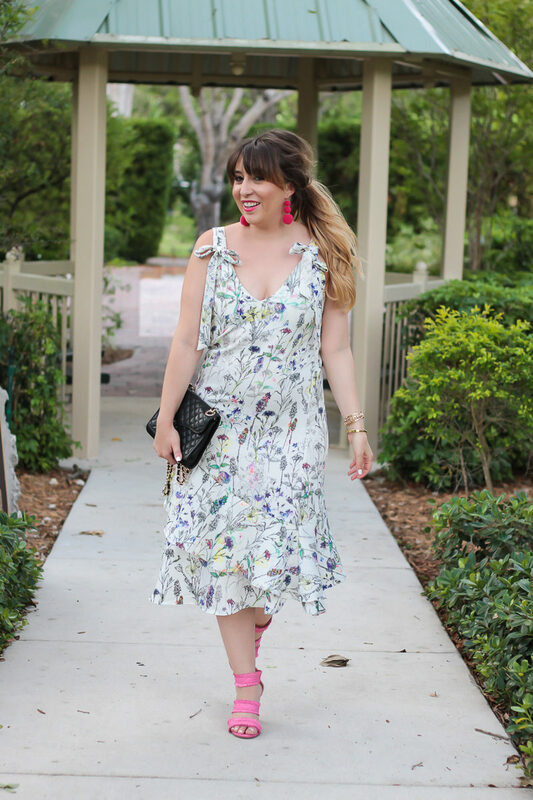 It just feels like the quintessential spring dress! 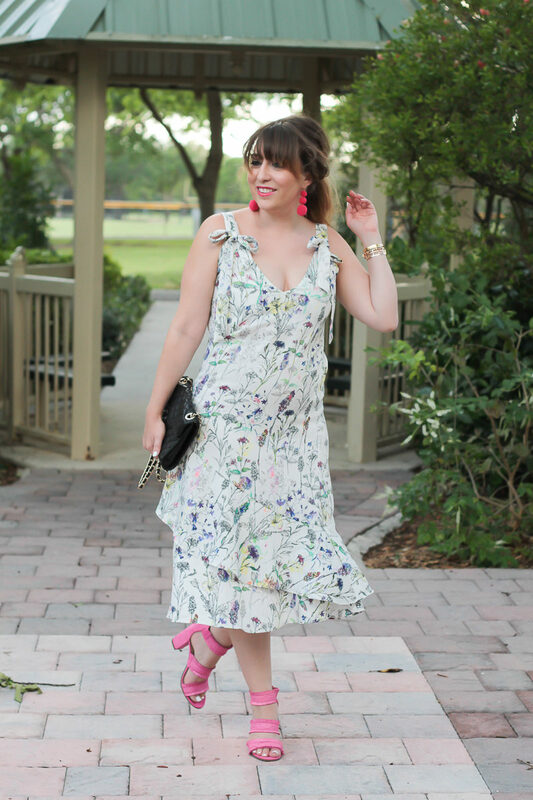 I love the midi length, the watercolor pops of color and (probably most importantly) the $19.99 price tag! This pretty dress just has such fun movement and looks so good on. 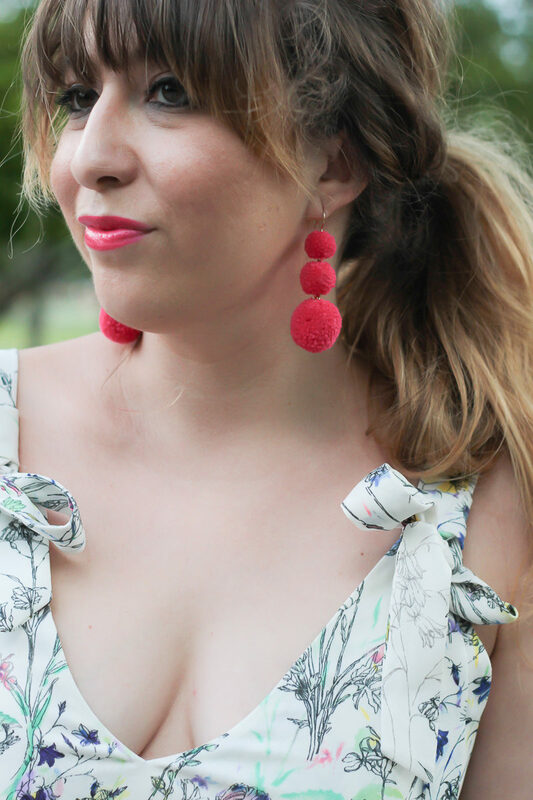 Throw a jean jacket over and pair with a flat sandal to give it a more casual vibe, or dress it up like I did with the perfect spring heels and some fun statement earrings!